Shout out to all my loyal readers out there, I know a number of you read each week and comment on what you thought of the record— it’s much appreciated! For those who are weekly readers (or if you just happened to pay attention); you already know who today’s featured artist was going to be: this person completes a specific trifecta in current pop culture. Katheryn Hudson was born in Santa Barbara, California in October of 1984. Mom and dad were both Pentecostal pastors, both turning to religion after a “wild youth.” Katheryn had two siblings and moved around the country a lot as kids since their parents would help set up churches across the U.S. They often had little or no money and were forced to eat at food banks with other members of their congregation. Given her upbringing, popular music was not allowed so she had to sneak music from friends. She started some gospel training around age 9 and began singing in the church. At 13 she learned guitar and would publicly perform songs she wrote. Completing her GED requirements at age 15, she left her high school to pursue a career in music. Taking a couple courses in opera, she found a record label willing to give her a deal. It was a Christian contemporary record and it only sold 200 copies before the label went defunct. Searching for answers, Katheryn decided to transition from religious music to contemporary pop. She began working with a new producer and moved to Los Angeles at age 17. 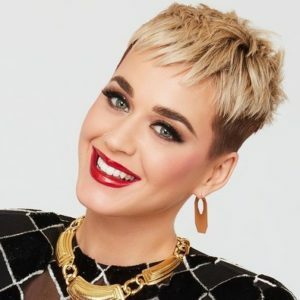 Needing to avoid confusion with already established actress Kate Hudson, Katheryn adopted her mother’s maiden name and began going by Katy Perry. After working on material for over two years, Perry was signed, then dropped by Columbia Records and signed to Capitol Records after a publicity exec found her material. The first album blew up, selling over 7 million copies worldwide and put Perry on the map. Today I’m listening to her sophomore album Teenage Dream released in August of 2010. It debuted number one on the Billboard 200 and sold nearly 200k copies its first week. To date, it’s at roughly 8 million sold worldwide and was nominated for seven Grammy Award nominations. It tied Michael Jackson’s Bad in being the only albums in music history to have five number-one singles. She also owns the record for most digital downloads for one album, with six singles all compiling over two million downloads each. I’m not sure it’s possible for anyone to not have heard at least a single or two from Katy Perry over the last ten years. While she may have lost some steam recently from a music perspective, she was at the top of the charts for a solid half decade. She cites her influences as Alanis Morissette and Freddie Mercury from Queen—and I’m not sure I could have pinpointed her style better than referencing those two. She’s garish yet refined, and has a pop/up-tempo style, yet shows signs of angst and anger in her lyrics. Some of her themes can be a little more adult, and parents have occasionally criticized her albums for being too risqué for kids. Vocally, she’s solid, probably not the best I’ve heard— but when she goes acoustic, you can tell she’s got talent and range. In the way of pop music, it’s easy to understand how she’s sold so many albums. Katy gets the toes tapping and the volume turned up. Focusing more recently on acting and philanthropy, Perry wears many hats, all with success. Critically her star is shining bright on American Idol and is reviving the reboot better than anticipated. Give Teenage Dream a shot today— it may be $7 dollars, but that’s still reasonably cheap. Don’t let this be the one that got away!